Extremely difficult piano pieces #1 - Balakirev's Islamey is considered one of a handful of very difficult piano pieces. Listen and gawk at the playing expertise required for this one. Peter breaks down the real way to play a bossa nova groove. The Judges were full of praise for this talented family of musicians following their fabulous audition. Lord Vinheteiro accompanied a gameplay of Sonic The Hedgehog, playing the Sonic songs and making their sound effects!! Lord Vinheteiro accompanied a gameplay of Sonic The Hedgehog, playing the Sonic songs and making their sound effects. The above example will search for all instances of Hans Zimmer pieces mentioned in the digests of thepiano.sg. You can check out the search results for the above example over here. OMG! I typed in "Bach" and it coughed out JS Bach, JC Bach, Offenbach, and Leybach. Hooray, now I can easily research to play a new piece that's not been heard by Pianovers before. Thanks a million! I just tried the feature! Useful!! Thumbs up! I tend to search sometimes by composer too. Thanks! The new feature is indeed very helpful. And even though it reads "Frédéric Chopin", you can just type "Frederic" ignoring all the diacritical marks, and the search engine will still give you a proper search result. I guess, the only minor problem is that the search engine can't parse hanyu pinyin (not that I'm asking for that feature). What if you are handicapped; can you learn to play the piano? Or if you become handicapped; can you continue to play the piano? Check the comments below to learn more about these inspirational pianists in short documentary-like segments. Add anyone else that you might know below too. Thanks. I think in Singapore, there's this Purple movement or something. Sure, it is. Thanks for informing! I attended the inaugural True Colors Concert and was humbled by the performances; the participants are all handicapped in some way. 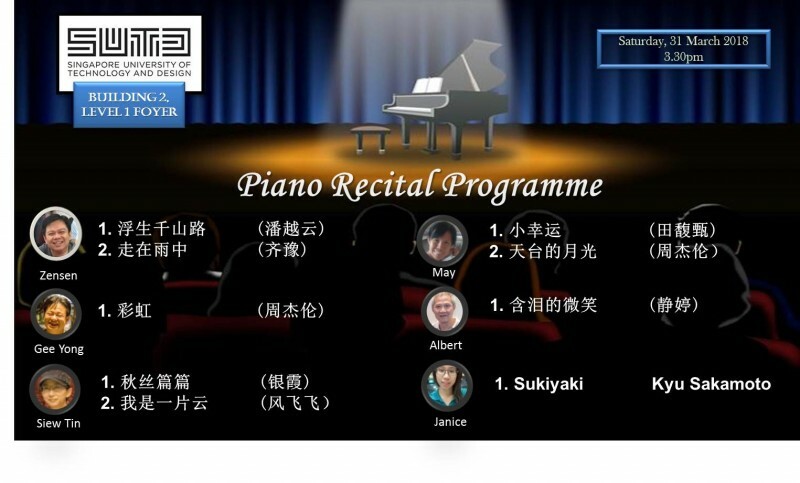 There was a pianist from Singapore - Azariah Tan - he's almost deaf - but he played Chopin's Fantasie Impromptu very well. Other performances hailed from across the globe; with one other pianist (Seong Il Kim), violinists, excellent singers, talented dancers, a digital orchestra, and even an enthusiastic Children's Choir. It was an excellent night that I will not soon forget! Saw the pianist smiled at 1:18 mark there. Nice! !